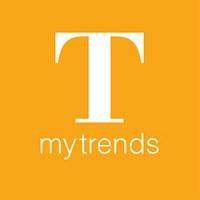 View more kitchen ideas at http://trendsideas.com/search/kitchen US3009 United States Kitchen Trends Publisher Message. Read this story at Trendsideas http://trendsideas.com/Article16455/UnitedStates View the ebook http://ebooks.trendsideas.com/Book731 Follow us on Facebook http://www.facebook.com/TrendsIdeas http://www.facebook.com/TrendsPublishingUSA Trends Kitchen Design Perspectives - Command center. Kitchen in the heart of the home. Trends senior writer Colleen Hawkes talks to architect Rex Hohlbein. Read this story at Trendsideas http://trendsideas.com/Article16454/UnitedStates View the ebook http://ebooks.trendsideas.com/Book731 Follow us on Facebook http://www.facebook.com/TrendsIdeas http://www.facebook.com/TrendsPublishingUSA Trends Kitchen Design Perspectives - Mid-cetury modernized A renovated kitchen by John DeForest Architects. Trends duputy editor Justin Foote talks to architect Jesyca Poole of DeForest Architects. Read similar stories on trendsideas http://trendsideas.com/Articles/Kitchens/UnitedStates View the ebook http://ebooks.trendsideas.com/Book731 Follow us on Facebook http://www.facebook.com/TrendsIdeas http://www.facebook.com/TrendsPublishingUSA Trends Kitchen Design Perspectives - Haute cuisine This kitchen is designed to enhance the art of cooking. Trends deputy editor Justin Foote talks to architect John DeForest of DeForest Architects about a renovated kitchen that is equal parts form and function. Read this story at Trendsideas http://trendsideas.com/Article16123/UnitedStates View the eBook http://ebooks.trendsideas.com/Book689 Follow us on Facebook http://www.facebook.com/TrendsIdeas http://www.facebook.com/TrendsPublishingUSA Trends Kitchen Design Perspectives - Balanced agenda Trends editorial director Paul Taylor talks to architect Tim Bjella about his design of a Minneapolis loft kitchen. More inspiring kitchen design at Trendsideas.com http://trendsideas.com/Articles/Kitchens/UnitedStates View the eBook http://ebooks.trendsideas.com/Book655 Follow us on Facebook http://www.facebook.com/TrendsIdeas http://www.facebook.com/TrendsPublishingUSA Trends Kitchen Design Perspectives - An exotic presence. Trends home series editor Kathleen Kinney comments on a colorful remodeled kitchen by Jennifer Gilmer. Read this story at Trendsideas http://trendsideas.com/Article15709/UnitedStates View the ebook http://ebooks.trendsideas.com/Book613 Follow us on Facebook http://www.facebook.com/TrendsIdeas http://www.facebook.com/TrendsPublishingUSA Trends Kitchen Design Perspectives - Work, rest, play Trends editorial director Paul Taylor talks to architect Woody Vaughan about designing a kitchen for a multifunctional space. More inspiring kitchen design at Trendsideas.com http://trendsideas.com/Articles/Kitchens/UnitedStates View the eBook http://ebooks.trendsideas.com/Book655 Follow us on Facebook http://www.facebook.com/TrendsIdeas http://www.facebook.com/TrendsPublishingUSA Trends Kitchen Design Perspectives - A breath of fresh air Trends home series editor Kathleen Kinney comments on a family kitchen by Aidan Kitchens. Read this story at Trendsideas http://trendsideas.com/Article15700/UnitedStates View the ebook http://ebooks.trendsideas.com/Book613 Follow us on Facebook http://www.facebook.com/TrendsIdeas http://www.facebook.com/TrendsPublishingUSA Trends Kitchen Design Perspectives - Warm Hearted Trends Editorial director Paul Taylor looks at how architect Lenore Baigelman connects a kitchen to its adjacent spaces. Read this story at Trendsideas http://trendsideas.com/Article15703/UnitedStates View the ebook http://ebooks.trendsideas.com/Book613 Follow us on Facebook http://www.facebook.com/TrendsIdeas http://www.facebook.com/TrendsPublishingUSA Trends Kitchen Design Perspectives - Feminine sensibility US home series editor Kathleen Kinney comments on a traditionally styled kitchen.